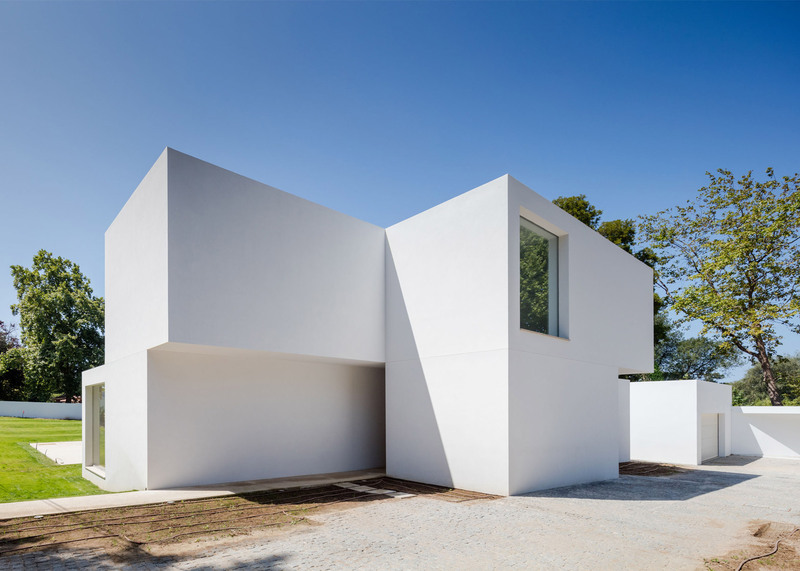 Each room in this Porto house by 236 Arquitectos is contained within an individual white box, which is stacked irregularly from its neighbour to form a distinctive cluster formation (+ slideshow). 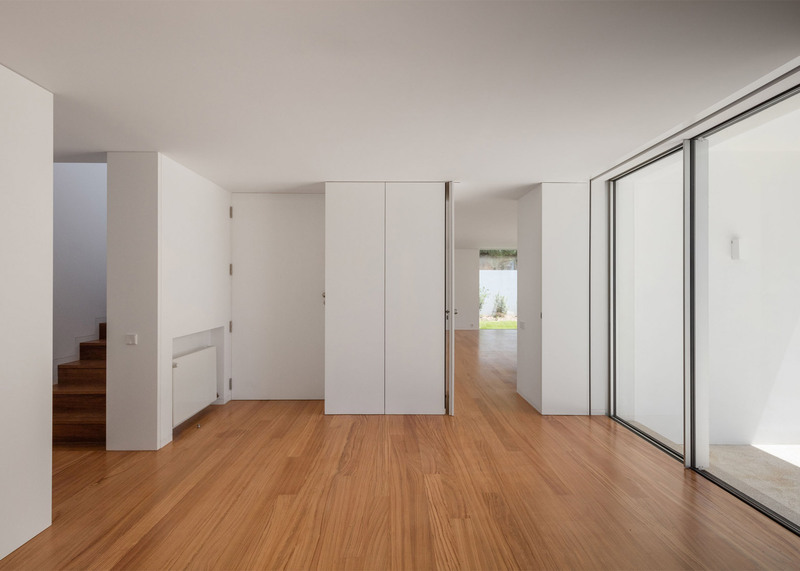 Faced with the issue of building on a flood-prone site, the Porto practice led by architect Sebastião Moreira first devised the boxes as a way to create self-contained areas that could prevent water damage from spreading. 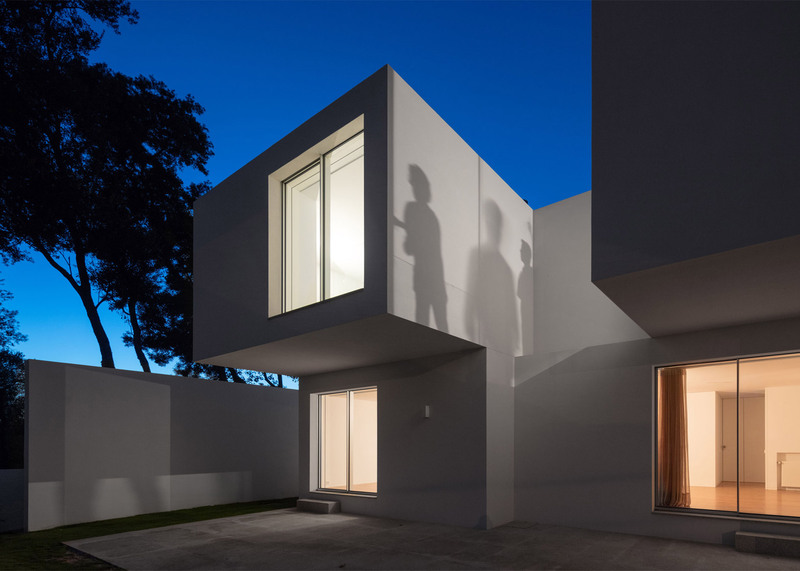 These cubes are stacked randomly, creating small cantilevers and recesses that cast dramatic shadows across the bright white facades of House MR.
"Conceptually, we tried to develop the idea of ​​a volume that resulted from the addition of several independent casings," said Moreira. "Each of these enclosures was treated individually, according to their characteristics and needs, particularly as concerns the orientation, openings and proportions," he continued. 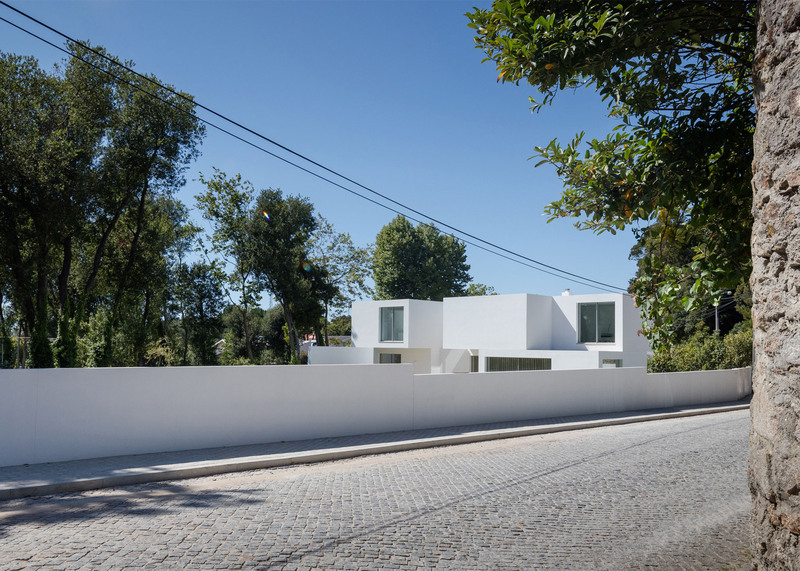 The 1,500-square-metre plot is located in Enxomil on the outskirts of Porto and is surrounded by wooded gardens that provide "a transitional environment between rurality and urbanity". While some facades are completely windowless, others are largely made from glass. 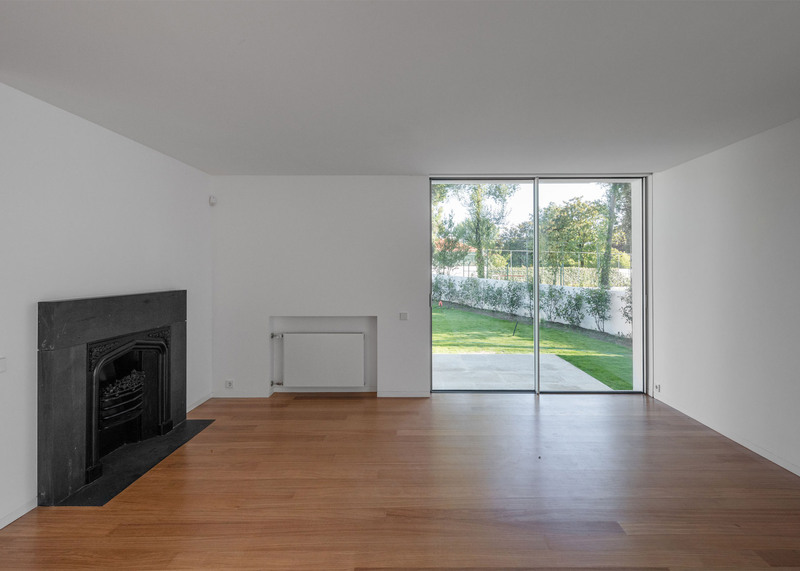 These large floor-to-ceiling windows are set off-centre in the walls of the blocks and oriented to appreciate views of the garden. "The repetition of the window element sought to unify and bring coherence to the white volume, carved and landed in the garden," said the architect, who also set a rectilinear pool into one side of a patio in the property's lawn. A lounge, dining room and kitchen are set in separate blocks at ground level, while three bedrooms with ensuite bathrooms occupy blocks on the first floor. 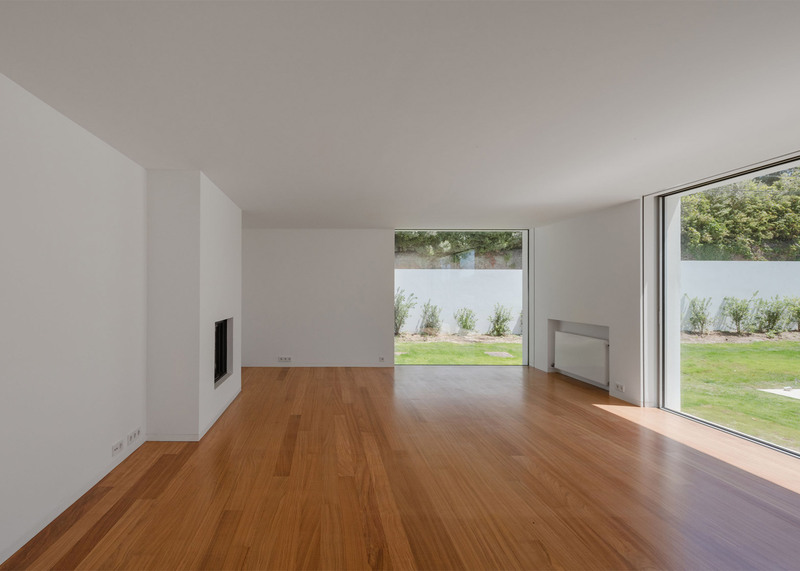 A separate circulation block projects outside of the main plan and contains a wooden staircase, which matches the timber floors used elsewhere in the house. Other buildings comprising irregularly stacked boxes include an Australian gatehouse made from staggered concrete and timber volumes and an OMA-designed housing complex in Singapore where blocks are arranged in a honeycomb pattern.